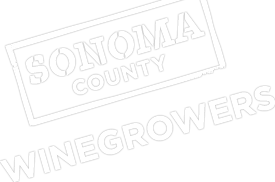 Local Sonoma County Press Democrat writer Bill Swindell captures what lies on the road ahead for the Sonoma County Winegrowers and discusses the ambitious new 100 Year Business Plan to Preserve Agriculture in Sonoma County. No one should accuse the Sonoma County Winegrowers of not being ambitious. A year after setting a pledge to have every grape in the county grown in a sustainable manner by 2019, the trade group is establishing another lofty benchmark.